We provide the most popular Card Games like Blackjack, Texas Hold’Em, Knock Down, and more! 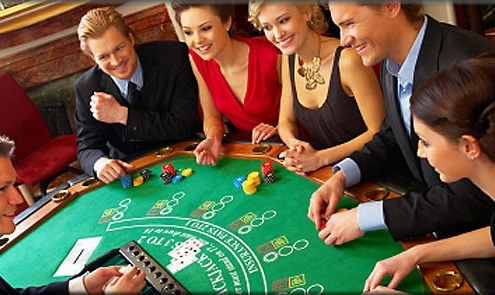 Boston Casino Events experience includes dealers, tables, chips, and cards. We create a Vegas atmosphere by having the dealers wear tuxedo shirts and vests. The dealers are professionally trained to teach beginners how to play and provide tips to the more experienced players. 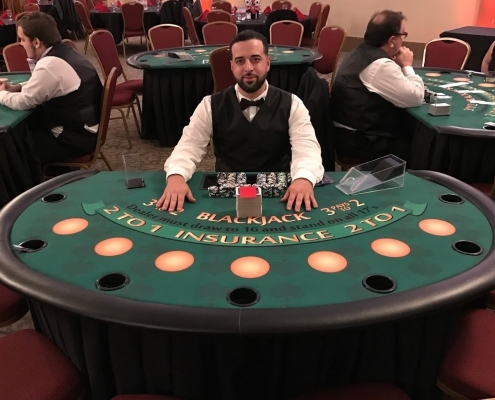 Our consultants will help you determine how many tables you will need to accommodate your guests and develop a good mixture of casino games based on your RSVPs. We’d love to Talk or Get you a Quote. CLICK HERE!